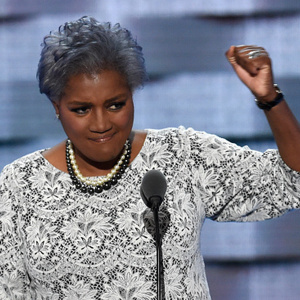 How much is Donna Brazile Worth? Donna Brazile net worth: Donna Brazile is an American author, academic, and political analyst who has a net worth of $3 million. Donna Brazile was born in Kenner, Louisiana in December 1959. Brazile is the Vice Chairwoman of the Democratic National Committee. Donna graduated from Louisiana State University. She worked on the campaign to make Martin Luther King, Jr.'s birthday a federal holiday and volunteered for the Jimmy Carter-Walter Mondale presidential campaigns. Brazile was a member of the board of directors of the Louisiana Recovery Authority from October 2005 until January 2009. She became Vice Chairwoman of the Democratic National Committee in January 2009. Brazile was the first African American to direct a major presidential campaign when she was Al Gore's campaign manager in 2000. In 2011 she served as interim Chairwoman of the Democratic National Committee for a month. She contributes to CNN's The Situation Room and American Morning. She is also a contributing writer for Ms. Magazine. Her memoir Cooking With Grease was published in 2004. She has guest starred in episodes of the television series The Good Wife and appeared in an episode of House of Cards.